This heartfelt revue tells the true story of the country music legend’s unlikely friendship with a fan, Louise Seger, cemented by years of letter-writing. 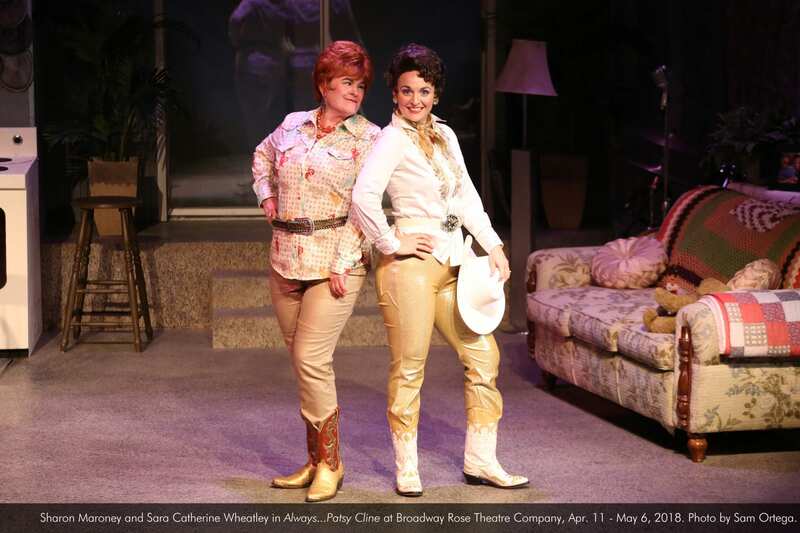 Featuring a wealth of Cline’s beloved hits such as “Walkin’ After Midnight,” “I Fall To Pieces,” and “Crazy,” Always…Patsy Cline returns by popular demand after sold-out shows in 2013, with Sharon Maroney as Louise and Sara Catherine Wheatley reprising the title role. Run time is approximately 2 hours, including one 15-minute intermission. Tuesday, April 24, 7:30 PM—Added performance! Sharon Maroney is the founding producing artistic director of Broadway Rose and has been running the theatre alongside her husband, founding managing director Dan Murphy, for 26 years. Past roles here include Rose in Gypsy, Mona in The Best Little Whorehouse in Texas, Dolly in Hello Dolly!, Carla in The Bikinis, Rhetta in Pump Boys and Dinettes, Angela in Honky Tonk Angels, Muriel in Dirty Rotten Scoundrels, Dorothy Brock in 42nd Street, Keely in Pete ‘n’ Keely, and Sonia in They’re Playing Our Song. Performances elsewhere include Forbidden Broadway and The Queen of Bingo for triangle productions!, and as a fallen angel the final season of The Fallen Angel Choir. 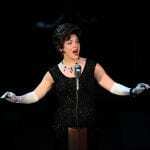 Sharon also directs for Broadway Rose; recent shows include Beehive, Oklahoma!, My Fair Lady, and The King and I. She has also written several children’s shows here, such as Sleeping Beauty, The Three Little Pigs and Freud, Goldilocks and the Three Dysfunctional Bears, and The Jungle Book. 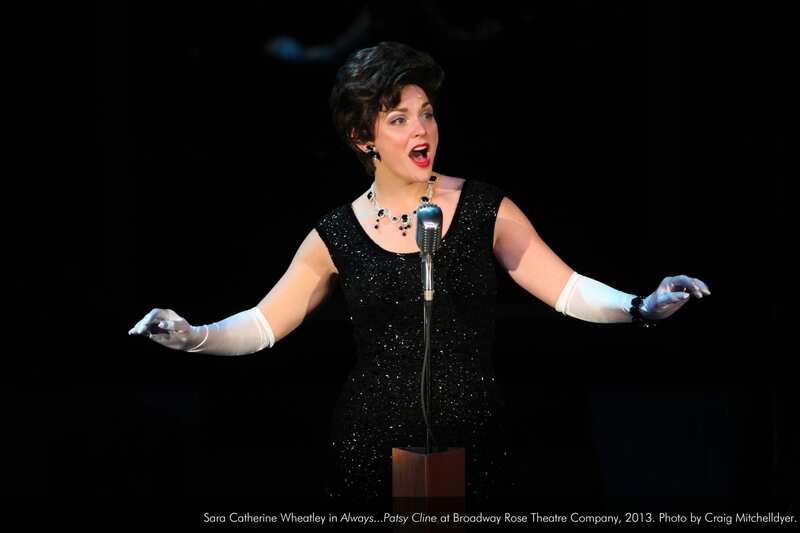 Sara Catherine is beyond thrilled to be back on the boards at Broadway Rose! Reprising this role with co-star, Sharon Maroney, brings her back to Portland from her current home of Nashville, Tennessee. You may remember Sara Catherine from her previous appearances on the Broadway Rose stage in Hairspray (Velma VonTussle), The Drowsy Chaperone (Kitty), Nite Club Confidential (Dorothy Flynn), A Very Merry PDX-mas (herself), and Cats (Jellylorum). 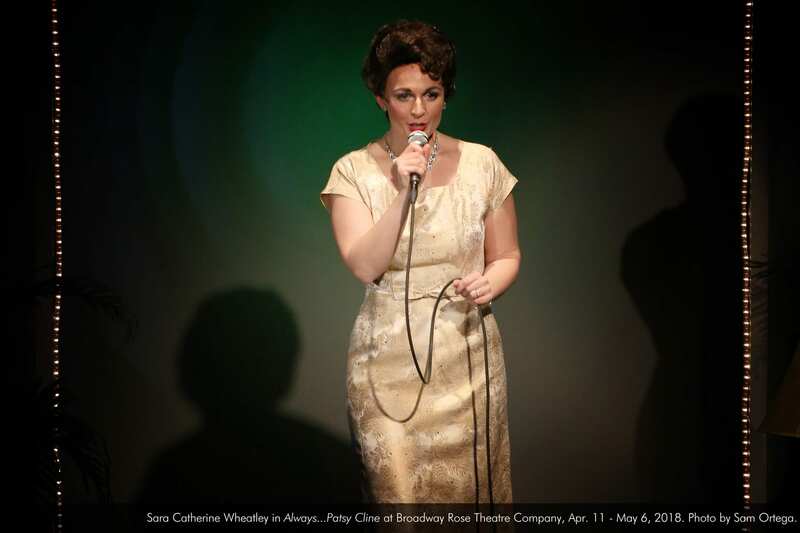 Sara Catherine has been portraying the role of Patsy Cline for over 10 years in productions of Always...Patsy Cline all over the country, but never feels more at home than when she is on stage with Sharon and under the direction of Chan Harris. 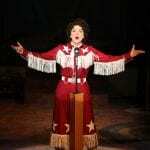 Patsy Cline holds a special place in the history of American music. She was one of the first women to take charge of her own career in a male-dominated industry. She was the first female country music star to headline her own touring show and receive higher billing than male stars. She was the first female country singer to appear at Carnegie Hall, and the first female singer inducted into the Country Music Hall of Fame. And the list goes on. 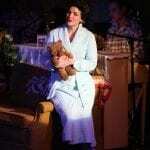 But this play is not about Patsy. You are now sitting in the living room of a divorcée from Houston who opened her heart and her home to one of her heroes. Louise Seger was real, and that night in 1961 really did happen. In a world where we “like” our friends on Facebook, and text our conversations, a story like Louise’s could only happen when we are brave enough to invite a stranger home for bacon and eggs. It’s what happens when we allow ourselves to love and be loved. My hope is that these two hours will remind you that friendship is deeper than being “followed” on Twitter. I invite you to come on in, sit right down, and make yourself at home. …a funny, touching account of the night a superfan’s dream came true and a reminder of the magic that can happen when we get up the courage to reach out to another human being…Read more. Storytelling is at the soul of country music, and Wheatley captures not just the narrative but the emotion of the tale, turning it loose to roil things up but never letting it out of her control…Read more. 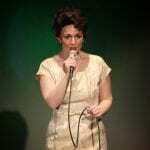 Always Patsy Cline — 3rd Times a Charm Again! 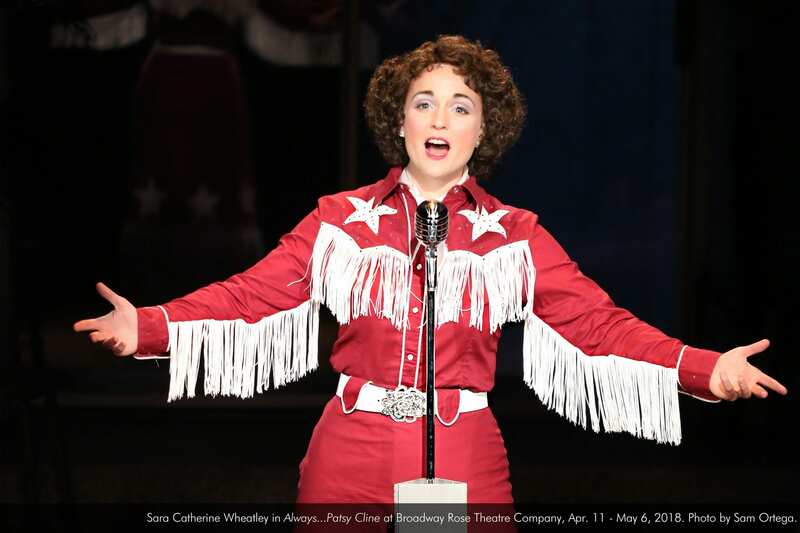 Wheatley is simply amazing – if anything, her voice is even richer and her grasp of Cline’s vocal and personal mannerisms more accurate than the last time I saw her play the role…Read more. 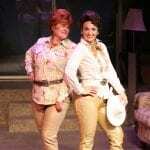 It is a show for fans of Patsy Cline, and more than usual, a show that seems to be particularly attached to its venue. This makes it a must-see…Read more. Wheatley’s silky soprano nicely tracks Cline’s vocal evolution as the country artist expands her repertoire from twangy early hits like “Honky Tonk Merry Go Round” to the torchy, jazz-infused “Crazy.”…Read more. The period costumes by Shana Targosz are gorgeous. And it’s great to hear a revue of Patsy Cline’s wonderful songs, written by some of the best country songwriters of the time….Read more. It’s back by popular demand! 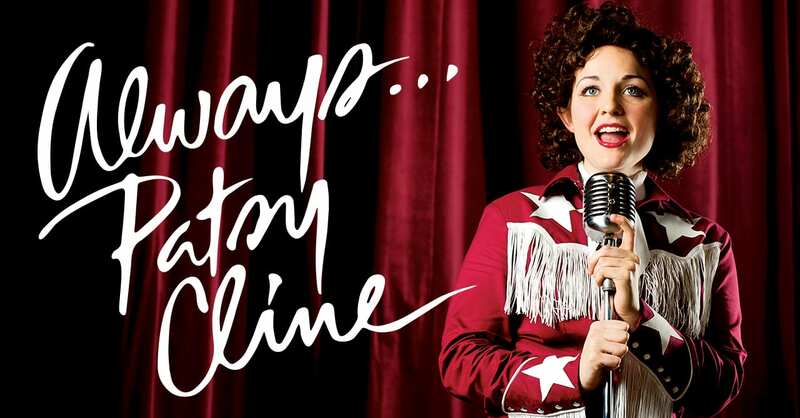 Broadway Rose Theatre Company’s “Always…Patsy Cline” is a musical tribute to the legendary country singer and her most devoted fan….Watch now. “Of all the things to be coming back to, this show seems fitting. It’s kind of like coming home — especially doing it in Oregon.”…Read more. 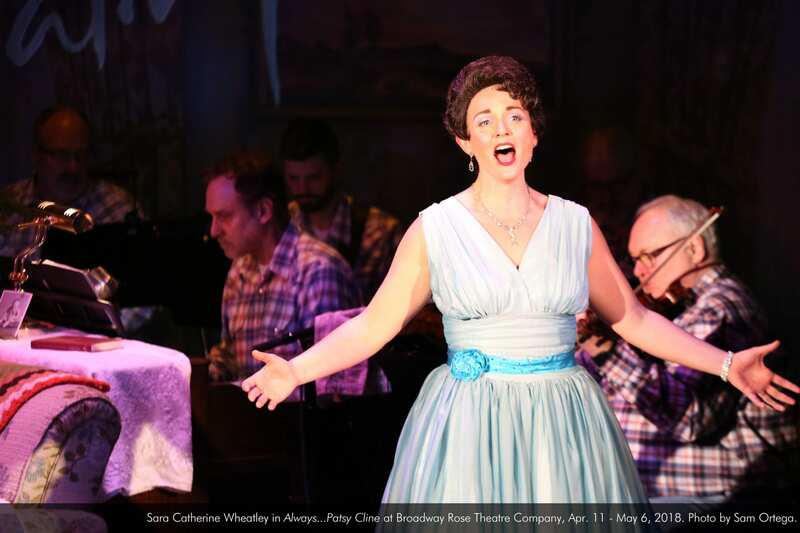 Sara Catherine Wheatley in "Always Patsy Cline" at Broadway Rose Theatre Company, 2013. Photo by Craig Mitchelldyer.